If you've noticed that your fellow New Yorkers smell a whole lot nicer these days, it's due to a new fragrance shop that recently opened on Crosby Street in Soho, Fueguia 1833. To understand the full impact of this new store, let me preface it by saying that Patagonian brand Fueguia 1833 is to perfumes what Beluga caviar is to food and Valentino is to couture: Timeless, beautiful to behold and oh, so delicious. I personally fell in love with the brand at this year's Pitti Fragranze in Florence. Inside that wondrous world that is the Stazione Leopolda, there are endless possibilities. And for a woman who grew up collecting perfume samples from the local beauty shop, where she accompanied her mom on shopping trips, the yearly fragrance fair is the equivalent of a toy shop -- with an all-you-can-eat ice cream parlor thrown in. Fueguia 1833 is the love child of Argentinian businessman and musician Julian Bedel who founded the brand with Amalia Amoedo in 2010. 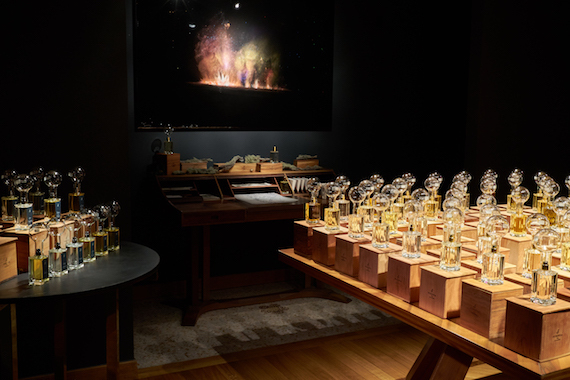 For the first three years or so, fragrance aficionados had to travel to Buenos Aires to get their hands (and noses) onto the deliciously perfumes. With a penchant for uncluttered scents that are inspired by nature and the cleanest, clearest molecules which make up usual fragrance favorites along with never before used ingredients, Fueguia 1833 has easily conquered a market that is typically difficult to seize. This month, with NYC, they will have opened ten stand-alone boutiques, while also selling their creations through luxury fragrance shops around the world. Perhaps it's all due to the inspiration of the brand, the figure of Fuegia Basket to which the company owes its name -- a 19th century Patagonian girl who also happened to inspire Charles Darwin. Lets just say that the name fits Fueguia 1833 perfectly, as they blend Argentinian grassroots scents with timeless elegance and new world class, both in their image and in their perfumes. I caught up with Bedel, a dashing, tall, smooth voiced gentleman, in Florence and asked for a few insider's tips that he could share, to make the wonderful world of perfume more accessible. And while I dream of visiting the new location in NYC, I continue to refer back to my bag of samples for inspiration, whenever I find myself with a case of writer's block. Because scent really is the best medicine! What is your own background and how did Fueguia 1833 come to be? Julian Bedel: My father is an artist, a painter, my grandfather was a collector. I grew up in Buenos Aires, I'm super-Argentinian. My family is French and Italian. I turned to painting and music, and building guitars. In my family, we all have a profound love of nature so we have different farms all over Argentina. We took care of the sawing and pruning of our trees. So as a kid, I was always exposed to woods, all the essential oils, burning things, cutting grasses. 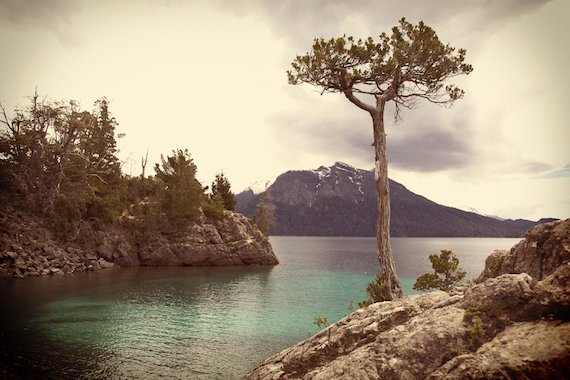 And Argentina is so bio-diverse that nature changes silently. Moving around in those different properties and working in them, it really exposed me to a side of nature that's incredible. It was easy, as a musician or a painter -- for perfumes you just change the palette. In music you need three notes to build a chord, in painting you can create even with two colors and it's all about combinations. I wanted to create a whole brand that would reflect our biodiversity as Argentinians, particularities what we have as a culture and a country, despite the cliches, but especially to be a platform for botanical research, which is what we've been doing, and is our main focus. Fragrance is so personal, and so incredibly alive in the moment; is it more difficult to think in perfume terms? Bedel: For me it's easier, it's like a trick. As a musician, I love guitar playing, you can really tell from whom I'm stealing things. In painting the same. As an artist, you are influenced and it's there, even in contemporary art. It's very difficult to find really talented people who are creating something new. One of my fascination with scents and perfume was the potential of this palette in my hands. Without knowing anything, yet continuing this story. Because most of the ingredients that we use do not exist in this industry. These are molecules that either you produce or they don't exist. When someone in, lets say Japan gets exposed to our scents, and they don't have a tradition of personal scent, it's not about the brand or anything. It's only about the ingredients, the level of transparency. How can you continue to create new scents, source the prime ingredients necessary? Bedel: In 2002 I created a foundation in NY called Help Argentina, and it allowed me to coordinate communities to actually produce the ingredients I was looking for. It was one thing to go to my farm and cut a wick and say, wow, it's amazing. And it's another thing to be able to produce it in a sustainable way. With consistency. 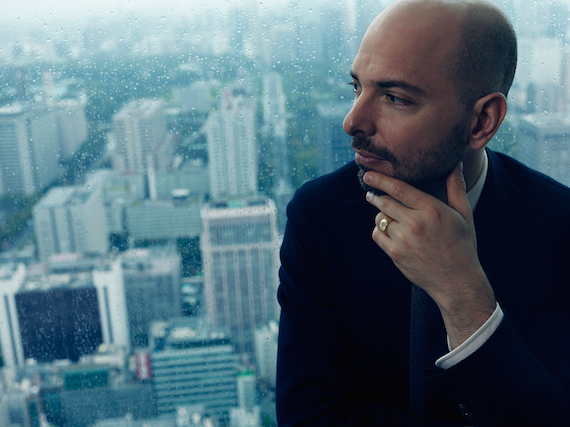 We have ten boutiques, between Buenos Aires, Milan, Tokyo and NYC, among others. That creates another problem. We only make four hundred bottles per batch. It's like an individual scent because that batch cannot be repeated. The distillation that I do at a precise moment of a certain ingredient is particular. Then your perfume is like a couture creation. Can you elaborate? Bedel: An essential oil of jasmine is made up of three hundred molecules, while cedar is fifty molecules. The smell of coffee is eight hundred molecules. What we are working on a lot, also in our botany center in Uruguay, our fluid extraction facility there, is in cleaning these ingredients. The facets, the different facets among these three hundred molecules in a jasmine, you have ones that can contaminate the other layers. What does it mean? If I don't clean the jasmine, suppose I want two hundred molecules of that jasmine, and I need to get rid of the others, because they add a lot of noise. You need technology to separate, to rectify. This happens with vetiver a lot, because the heart of vetiver is so amazing but depending on the origin and the distillation, which is usually very rudimentary, it can be very smoky and earthy. If you put vetiver in something, it can monopolize everything and cover everything. So in order to use these ingredients and have my artistic vision I needed to refine the ingredients. That's why I also say it's not the perfume but the ingredients, that requires a lot of work, of cleaning. Some famous last words for fragrance lovers? Bedel: If you don't watch cinema, you don't see art, and you don't write, it becomes very difficult to find the right description of a scent you are enjoying. All images courtesy of Fueguia 1833, used with permission.